Patchan: "SECOND MANASSAS: Longstreet's Attack and the Struggle for Chinn Ridge"
Book length treatments of portions of Civil War battles are typically the purview of Gettysburg scholars and enthusiasts. 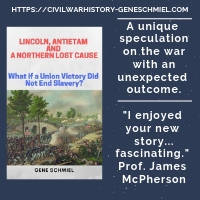 However, with Second Manassas, Scott Patchan instead offers readers a new look at James Longstreet's crushing August 30, 1862 attack that decided the Battle of Second Manassas in the Army of Northern Virginia's favor. 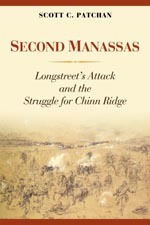 With its main narrative text coming in at less than 150 pages, Second Manassas: Longstreet's Attack and the Struggle for Chinn Ridge is tightly focused on activity south of the Warrenton Turnpike, the heavy fighting at Chinn Ridge and Henry House Hill with some attention paid to the southern end of Dogan Ridge. The military historical writing skills displayed in Patchan's previous works have vaulted him into the higher echelon of Civil War campaign and battle history authors. It's obvious he knows the ground, and few exceed his ability to convert a deep knowledge of the source material into a coherent, detailed, and engaging tactical narrative. In Second Manassas, the story of Longstreet's left to right echelon attack unfolds masterfully, but the common wisdom that the attack was a classic counterpunch executed in textbook fashion is overthrown. Part of the problem was a faulty command structure, which got the attack off to a bad start. Bizarrely, Hood retained command of his own brigade (leaving a lowly staff captain in nominal charge) as well as his division and Nathan Evans continued to lead his brigade semi-independently. Cadmus Wilcox did the same with his own division. Through blunder, he ended up personally advancing with his old brigade, leaving the division's other two behind. The result was a weak, disjointed initial attack instead of a solid avalanche of two whole divisions hitting the almost entirely open Union flank. As more and more Confederate brigades and divisions were committed on Hood's right, they were forced into an early left wheel in order to dislodge stubborn federal units positioned atop Chinn Ridge instead of advancing directly to Henry House Hill and cutting off the Army of the Potomac's retreat. Leadership of brigades and regiments was generally superb, but problems existed at division level. While Patchan is effusive in his praise of Confederate division commander David R. Jones, his writing is critical of James Kemper's lack of control and Richard Anderson's caution (although he admits that it is difficult to assess Anderson's role without his missing report). Stonewall Jackson also comes under fire for not demonstrating strongly enough against the federal right and for not using his own long arm to draw some of the attention of the massed federal batteries atop Dogan Ridge. However, as Patchan makes clear, the other side had something to do with lessening the impact of Longstreet's attack. Brave and quick thinking Union officers ensured their defeat on the left would not turn into disaster. The brigades of Nathaniel McLean, Zealous Tower, John Koltes and Wladimir Krzyanowski did wonders on Chinn Ridge, while the Pennsylvania Reserves and Sykes's division of Regulars held firm at Henry House Hill until outflanked at dusk. Criticism of the uninspired performances of corps commanders Franz Sigel and Irvin McDowell, who sent reinforcements to the left in driblets, is factual and restrained, avoiding the mocking tone of abuse one often finds heaped upon the reputations of both men. A minor complaint I have with the book is the relegation of any discussion of Longstreet's role in the attack to a brief section of the concluding chapter, which actually comprises a very nice overall summary of the successes and failures of the various Confederate command levels -- corps, division, brigade, and regiment. A much larger problem can be found with the cartography. So many of the maps are difficult to read, due to small size and blurry printing. This is too bad, as the level of detail, in terms of terrain features and unit positions and movements, is otherwise excellent. One question a reader might reasonably ask is why read Patchan when we already have John Hennessy's universally acclaimed Return to Bull Run? Hennessy himself generously offers an answer to the question in his introduction to Patchan's book. Ensuing decades inevitably witness the uncovering of new source material that can be used to fill the knowledge gaps that remain sprinkled throughout all battle histories. In addition to its unique tactical presentation of the Chinn Ridge and Henry House Hill fighting, the information in Patchan's Second Manassas acts as a corrective to all prior work. A new library essential, it should be paired with Hennessy on all Second Manassas bookshelves. Lincoln and the Triumph of the Nation: Constitutional Conflict in the American Civil War by Mark Neely (UNC Press, 2011). I am around 100 pages into this book and liking it. Neely examines the usual issues -- secession, habeas corpus, emancipation, conscription, etc. -- but a major part of what makes his book unusual is the in depth look at the northern pamphlets published during the war both in support and of in opposition to the policies of the Lincoln administration. In general, the pamphlets in question are those offering serious legal arguments, not merely partisan emotional pleas, and Neely's analysis (in the interrelated contexts of legal and historical precedent) of their merits is very much worth reading. The book also devotes a large section to a similar scrutinization of the Confederate constitution. Joseph O. Shelby's "Great Raid" has been the subject of one book length account, Mark Scott's thesis The Fifth Season (Two Trails, 2001). 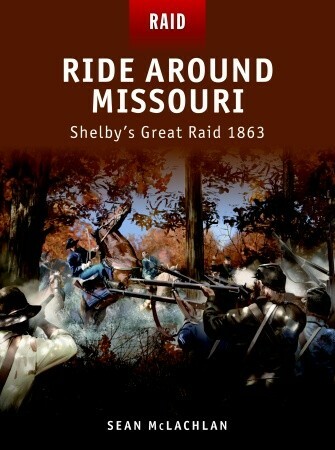 Directed at a general audience as part of Osprey Publishing's Raid series, Sean McLachlan's Ride Around Missouri: Shelby's Great Raid 1863 (2011) is another summary account. Coming in at 80 illustration-filled pages, the book is a typical Osprey offering in length and visual style. Civil War Missouri was similar to Kentucky in the context of hosting Confederate mounted raids launched from out of state, a major difference being the far more celebrated nature of the Kentucky operations. McLachlan provides some context in this regard by briefly outlining (and mapping the course of) John S. Marmaduke's 1862-63 Springfield and Cape Girardeau raids that preceded Shelby's own. Overall, I think the author provides a reasonably good summary of the Great Raid, and its most significant military action -- the October 13 Battle of Marshall. In researching this section, McLachlan consulted the work of historian James Denny, an authority on the battle. A pair of detailed orders of battle (including such information as unit effectives engaged and artillery tube types) and bird's-eye isometric view maps at regiment/battalion/battery scale accompany the Marshall section, with sidebar and main text offering a fairly clear explanation of the fighting's sequence of events. Beyond the maps, the selection of illustrations is unremarkable (I don't recall seeing anything new to my eyes). In general, Osprey books are meant to be quickly digested popular history and are not presented in a scholarly format; thus the lack of documentation and sparse bibliography require a trusting reader. I do niggle with some of the material presented. Complaints range from gross errors of fact (e.g. page 7's "After the St. Louis massacre, Governor Jackson easily passed a resolution to secede from the Union") to an overly simplistic (even for a short work such as this) description of the unionist militia system as a dual entity. Given that the various militias were the primary active defenders of Missouri during this period, I would also quibble with McLachlan's conclusion that Shelby's raid (Sept. 22 - Oct. 26, 1863) measurably aided the Army of Tennessee in the West by preventing major troop transfers from Missouri to Tennessee. These reservations aside, and given the continued dearth of publications dealing with Civil War mounted raids in Missouri, the book is worth a look. 1. A Generation at War: The Civil War Era in a Northern Community by Nicole Etcheson (UP of Kansas, 2011). Regular readers might recall that I have a high opinion of Etcheson's earlier "Bleeding Kansas" book. This new effort centers around the impact of the Civil War on the Putnam County, Indiana home front, but it also examines the much broader period of societal change 1850-1870. 2. The Fate of War: Fredericksburg, 1862 by Duane Schultz (Westholme, 2011). 3. The Artillery Service in the War of the Rebellion, 1861-65 by John C. Tidball, ed. by Lawrence M. Kaplan (Westholme, 2011). Through his own experiences, Tidball analyzes the artillery services in the Army of the Potomac and the Army of the Tennessee. Kaplan's editing work appears to be primarily organizational in nature (there is also some added Tidball material in the appendices), as the text itself is not annotated. I've been wondering what increasingly prolific historian Earl Hess has next on his plate. Unfortunately for me, it is not his history of Burnside's East Tennessee campaign (please let that be next). Instead, next spring we'll get The Civil War in the West: Victory and Defeat from the Appalachians to the Mississippi (UNC Press, March 2012). That's a pretty massive subject to tackle from one side, let along both, and maybe difficult also to come up with something significantly new to say. I'll be interested enough to find out. A trio of Ball's Bluff histories were published in the 1990s -- Byron Farwell's Ball's Bluff: A Small Battle and Its Long Shadow (1990), William Howard's The Battle of Ball's Bluff: The "Leesburg Affair," October 21, 1861 (1994), and Kim Holien's Battle of Ball's Bluff (1995) -- but a definitive study would not appear until the next decade, when James A. Morgan III burst on the scene in 2004. Ball's Bluff treatments as part of larger works by Russel Beatie and William Marvel have also emerged, but these have done nothing to shake Morgan's reputation as the accepted master of the subject. 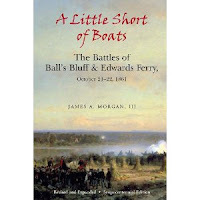 Fast forwarding to today, publisher Savas Beatie has published a "Revised and Expanded" edition of Morgan's A Little Short of Boats: The Civil War Battles of Ball's Bluff and Edwards Ferry, October 21 - 22, 1861 . The book is a masterful micro-treatment of the tactical aspects of the battle, but it also looks intently at the personalities involved on the military and political levels. On the Union side, a unseemly political witch hunt emerged in the aftermath of the disaster. Its most notable victim, General Charles P. Stone, was scapegoated for the defeat, accused of treason, and imprisoned. The author treats the officer sympathetically, and rightly so. Morgan uncovered new source material (thoughtfully labeled with asterisks in the bibliography) for this edition, which is also the first in hardcover. 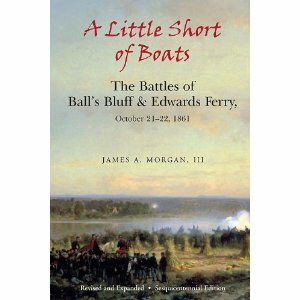 Thus, an even more detailed picture of the Ball's Bluff and Edwards Ferry battles emerges in its pages. More accounts of the death of Col. Edward Baker serve to deepen the mystery surrounding its circumstances. The new information available also allowed the author to incorporate more biographical features into the narrative. While a few new photographs were added, the maps appear to be the same. In the period since the Ironclad Publishing edition appeared, the trails and onsite interpretation of the Ball's Bluff battlefield have been improved and the new tour appendix has been updated to reflect these changes. Finally, an entirely new appendix challenges previous interpretations of the battle and why it was fought. It is clear from Morgan's research that there was no Union plan to attack and capture Leesburg. It was a small demonstration gone tragically awry. Both new readers and those already owning the 2004 paperback will want a copy of the revised and expanded edition of A Little Short of Boats, which takes a great book and makes it even better. 1. The 11th Missouri Volunteer Infantry in the Civil War: A History and Roster by David W. Belcher (McFarland, 2011). 2. Dear Sallie ...: The Letters of Confederate Private James Jewel, Echols Light Artillery, Oglethorpe County, Georgia edited by Gary L. Doster (Angle Valley Pr, 2011). The overwhelming majority of published Confederate letters (or regimental histories for that matter) are from soldiers serving in the east with the ANV. By contrast, Jewel spent most of his war along Florida's Gulf coast. 3. Steamboats and the Rise of the Cotton Kingdom by Robert H. Gudmestad (LSU Pr, 2011). A descriptive history of river steamboats, as well as a cultural and economic discussion of their impact. "She argues that the absence of a strong intellectual foundation for the conduct of war at its start--or, indeed, any consensus on the need for such a foundation--ultimately contributed to the length and cost of the conflict. Reardon examines the great profusion of new or newly translated military texts of the Civil War years, intended to fill that intellectual void, and draws as well on the views of the soldiers and civilians who turned to them in the search for a winning strategy. In examining how debates over principles of military thought entered into the question of qualifications of officers entrusted to command the armies of Northern citizen soldiers, she explores the limitations of nineteenth-century military thought in dealing with the human elements of combat". 1. Stratagem 1861: Early Civil War Tactics and the Battle for the Potomac by Robert H.C. Alton (Walsworth Pub Co, 2011). Chock full of photos, maps and drawings of all kinds, this is a smart looking new study of the Confederate attempt to block Potomac River traffic through the erection of batteries along its southern bank. 2. Ride Around Missouri: Shelby's Great Raid 1863 by Sean McLachlan (Osprey, 2011). A new volume from Osprey's "Raid" series, this book is typical of the publisher's prolific run of military history titles in terms of length and depth. In addition to the many illustrations, there's a nice OB and pair of maps for the Battle of Marshall, the raid's most significant fight. 3. Worthy of the Cause for Which They Fight: The Civil War Diary of Brigadier General Daniel Harris Reynolds, 1861-1865 edited by Robert Patrick Bender (Univ of Ark Press, 2011). Reynolds began the war a company commander in the First Arkansas Mounted Rifles, fighting at Wilson's Creek at Pea Ridge before crossing the Mississippi. This is his diary, richly annotated by Bender. Receiving a 630-page book in the mail yesterday brought to mind a recent LSUP blog posting [here] by Rand Dotson, the press's editor in charge of acquisitions. It's an interesting post dealing with conflicting issues between author and publisher priorities, things like page length, notes, and titles. * Thunder Across the Swamp: The Fight for the Lower Mississippi, February-May 1863 by Donald S. Frazier (State House Press, 2011). My copy arrived today. It is indeed a massive red cloth hardcover, its length exceeding 600 pages. The volume is abundantly illustrated and its 56 maps are a great mix of tactical, operational, and strategic scales (although those with weaker vision might have a bit of difficulty viewing all the detail). The primary focus is the neglected 1863 Bayou Teche Campaign and, with all the hallmarks of a fine campaign history, the book looks to be what I was hoping it would be. Don Frazier's Thunder Across the Swamp: The Fight for the Lower Mississippi, February-May 1863 is out now (the pre-orders have shipped). A good history of Nathaniel Banks's Bayou Teche campaign doesn't exist, and, given the quality of his previous work, I have high hopes that Frazier will deliver the goods here. On a product description note, the length of Thunder has increased substantially since book and "quadrille" series was announced several years ago. The publisher State House Press now has it listed at 630 pages and 56 maps (almost double the previous estimate) with a full retail price of $59. 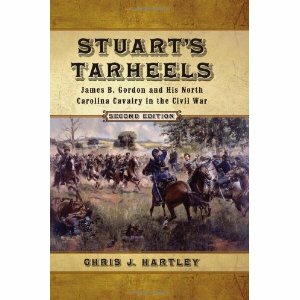 Hartley: "STUART'S TARHEELS: James B. Gordon and His North Carolina Cavalry in the Civil War, 2nd Ed." Even if widely admired personally and professionally by wartime colleagues and superiors, accomplished Civil War cavalry generals can still find themselves largely forgotten if they lack good press, an exciting eponymous raid, or a shining moment in a famous battle. In the eastern theater, it always helps to be a Virginian, too. Back in 1996, Chris Hartley shed light on one of these largely forgotten cavalry figures with the release of his book Stuart's Tarheels, an expanded 2nd edition of which has just been published by McFarland. A combination biography of North Carolinian James Byron Gordon and unit history of his regiment (and later brigade command), Stuart's Tarheels strikes a fine balance of both. The first few chapters examine Gordon's pre-war life, with the rest focusing on the operations of the 1st North Carolina Cavalry regiment and the North Carolina Brigade of the Army of Northern Virginia. Gordon's regiment first saw combat in the Old Dominion at Dranesville in December 1861. The tarheels then returned to their home state to witness the failure of Confederate forces to prevent the Union conquest of the North Carolina coastal counties. Returning to Virginia to defend the capital, the 1st (attached to Wade Hampton's brigade) participated in the Seven Days and Maryland campaigns. Hartley's coverage of military events is quite meticulous, detailing for the reader well known operations as well as more obscure actions like the November 5, 1862 fight at Barbee's Crossroad and Hampton's 1862-63 winter raids. Gordon's command skills are emphasized, as well as his administrative ability. His men were always in a high state of readiness. Gordon's combat exploits probably first achieved wider notice in 1863, when he fought well covering Lee's retreat from Gettysburg and played a key role in extricating JEB Stuart's command at Bristoe Station. He also became a brigadier general during the latter period, but would not have the opportunity to serve long in that capacity. The following May, during Sheridan's Richmond raid, Gordon was mortally wounded at Meadow Bridge the day after Stuart was shot at Yellow Tavern. In his narrative of these events, Hartley makes a strong case for Gordon being perhaps the best cavalry officer produced by North Carolina and highly deserving of a greater degree of historical recognition. Solidly grounded in manuscript material and other primary sources, the level of research in Stuart's Tarheels is high. Not having read the first edition, I am unfamiliar with the amount and significance of new information incorporated into the new work. However, the 2nd edition's 1st North Carolina Cavalry roster, almost 150 pages of material drawn from a wide range of sources and rich in service record detail, is a significant contribution. The maps, drawn by the author, are fairly unremarkable in terms of tactical information provided, but they are useful in the general sense of helping locate places mentioned in the text. Chris Hartley's Stuart's Tarheels is a very solid example of how to do brigade history correctly. 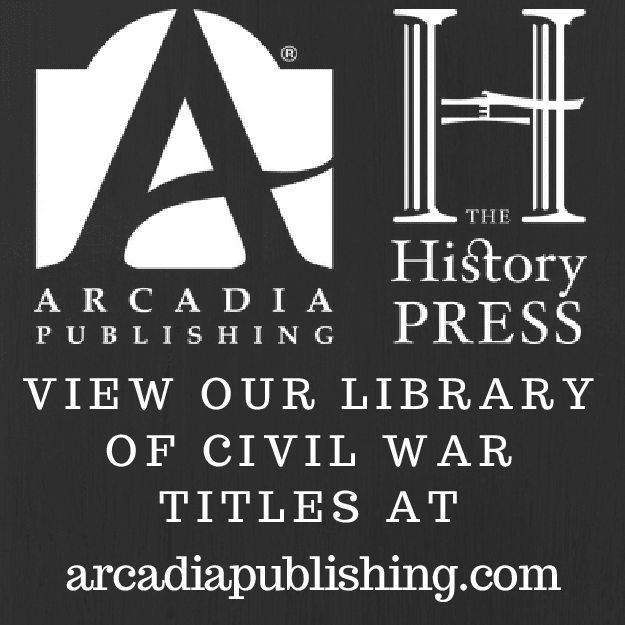 James B. Gordon and his men are richly deserving of having their Civil War careers documented and recognized for posterity, and Hartley's inspired scholarly crafting of their story does them abundant justice. 1. Abraham and Mary Lincoln by Kenneth J. Winkle (SIUP, 2011). 2. Lincoln and the Civil War by Michael Burlingame (SIUP, 2011). Two more volumes from So. Illinois's Concise Lincoln Library. 3. 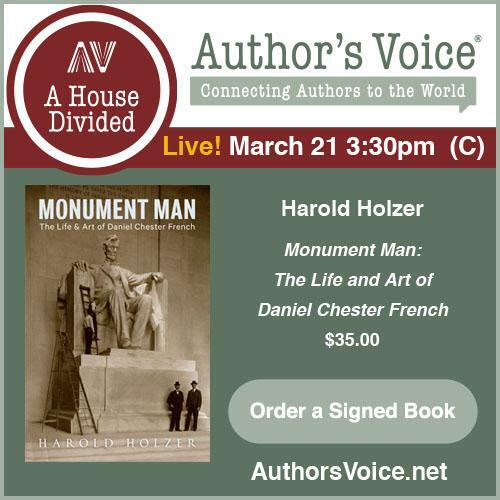 Lincoln in His Own Time: A Biographical Chronicle of His Life, Drawn from Recollections, Interviews, and Memoirs by Family, Friends, and Associates ed. by Harold K. Bush, Jr. (Univ of Iowa Pr, 2011). 4. Lincoln's Forgotten Ally: Judge Advocate General Joseph Holt of Kentucky by Elizabeth D. Leonard (UNC Pr, 2011). Much is being written about the Civil War in the border states, as well as civil rights and military policy directed toward civilians. Kentucky unionist Joseph Holt occupied an important place in all of this, and Leonard's well researched, full biography of the man should prove to be highly useful.